Codomomental love to tie loose ends before the year comes to a close. With Tsuyame’s recent departure, Not Secured, Loose Ends lineup changed again, with fans (okay, me) fearing another hiatus while hoping one of the auditonees will shine enough to be able to step into the group. 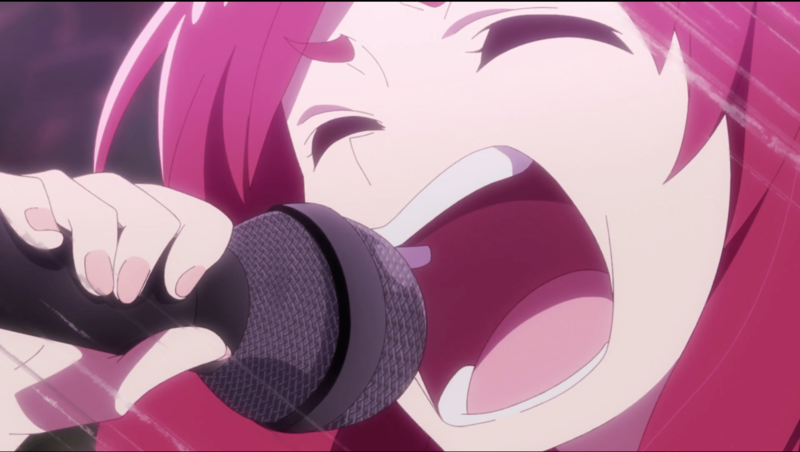 While it’s impossible or undesirable to literally replace a member, Yukueshirezutsurezure is a very demanding group, taxing on screams for everyone on top of regular vocals. And it seems a more-than-appropriate, refreshing person has stepped into the light. I have no doubt she’ll be great. The only hiccup? It’s Kotetsu from Kaqriyo Terror Architect. Just like there are “dog people” and “cat people”, there is a binary in the alternative idol fandom: Those who think Maison Book Girl’s sound is homogenous enough to believe it’s the same track on loop, and those who think “wow, this is such a new direction for them, I’m impressed” every time they have released a song since their major debut. Obviously, this author is part of the second category and was once again in awe upon listening to “Okaeri Sayonara”. The music video was released today, along with the announcement of a new album, Yume, coming on November 21. Fall doesn’t seem to be a good season for Tsurezure; last year in October, our beloved Cococo left the idol world. Her cohortmate, Tsuyame, stuck around as they were looking for a fourth member, seemingly becoming as much of a pillar of the group as the two founding members. And yet, here we are. Anata Tsuyame, the braided brunette from Yukueshirezutsure has her graduation concert tomorrow night, September 7, at the Shibuya O-Crest. This news took everyone by surprise, and the shock was so great that I planned on writing something at the time, but couldn’t. Denial is a part of the grieving process, isn’t it? But there is no time for that anymore, as Tsurezure embarks on their new tour, titled Eclipse, in a mere 10 days. Welcome to Homicidols Archives, an attempt to capture and document the ephemeral and ever-changing entity that is Idol. Here is the reprint of the first instalment of The Idol Suicides, a column originally written for now-defunct 20hz magazine by Sokichi Osada, the producer of legend-worthy disbanded group Girls Excellency International & currently the producer of Cinema and Boy CQ (Den’ei to Shounen CQ), movie soundtrackers extraordinaire duo. The Idol Suicides #03 was originally published in March 2017, in the fourth issue of 20hz. For an introduction to the series, click here. For the other installments, it’s this way. The text of the article is untouched and as Osada-san sent it to me. However, considering the original layout of the article had images and video content to supplement documentary appartés. I was linked to all idols videos, they are presented as they were. All other hyperlinks have been added by the contributor posting this. Here is the reprint of the second instalment of The Idol Suicides, a column originally written for now-defunct 20hz magazine by Sokichi Osada, the producer of legend-worthy disbanded group Girls Excellency International and currently the producer of Cinema and Boy CQ (Den’ei to Shounen CQ), movie soundtrackers duo extraordinaire. The Idol Suicides #02 was originally published in May 2016, in the third issue of 20hz. Here is the reprint of the first instalment of The Idol Suicides, a column originally written for now-defunct 20hz magazine by Sokichi Osada, the producer of legend-worthy disbanded group Girls Excellency International & currently the producer of Cinema and Boy CQ (Den’ei to Shounen CQ), movie soundtrackers extraordinaire. The Idol Suicides #01 was originally published in April 2016, in the second issue of 20hz. For an introduction to the series, click here. For the other installments, it’s this way. Here at Homicidols, we love to dissect Idol. No, I do not mean dissecting the girls themselves, you sicko, I meant Idol capital I, the essence, the thing, the industry. Consider the widespread misconceptions & ambiguities around mainstream idols common in English coverage. If even the big names cannot be described properly with the profusion of information already translated and shared by fans, emergent groups appeared an unsolvable mystery, unless you were on location, had good Japanese skills and got chummy enough with the manager of the idol group you wanted to know more about. Ricky Wilson, the manager of our beloved NECRONOMIDOL, has shed some light on his experience working in the idol industry, but for a rigorous investigation, you need a variety of sources. 20 Hz Magazine1 was a bilingual music monthly web magazine, backed by Powertap. They published a total of four issues. Starting with the second issue, they published a column titled “The Idol Suicides”. Written by Sokichi Osada, it describes his own experiences, starting when he skeptically followed a friend at an idol live, and against all expectations began producing an idol group himself. The writing was pleasant to read, but also trifled with details, including the different ways idols are paid. We recommended the article back in September 2016 2, and it became a precious resource for the English-speaking international idol fan community. It became one of my favourite articles to read, the kind you favourite and re-read over and over again, and use it to prove points. A couple of weeks ago, I settled to do just that and refresh my memory. I needed my dose of “The Idol Suicides”. A few weeks ago, Steven Tanaka’s good tastes and altruistic hobbies graced Canada again in the form of Next Music From Tokyo volume 12. This edition’s lineup was a “best of” of sorts, having three bands from last year’s 10th edition, as well as newcomers Lucie, Too and Steven’s favourite idol act Koutei Camera. Koutei Camera Girl Drei (Twitter) was also part of the pan-Canadian tour for their debut this past October, and this time, we managed to interview the group and their manager. Before leaping to the interview, I would like to thanks my dear translator and friend Hazuki S. for her interpretation and translation, as well as Jas, Ramy T Talata, Catch my Heart and Pacio to ‘npa for graciously taking the time to answer our questions. Jas, as we start, I have a small question: I was wondering what are the current member colours of Kouteca? Jas: There are no colours. Well, that was fast (laughs). I guess I will have to update the fan wikis with that information. On that same topic, Ramy, you were initially announced as a member of Koutei Camera Drei under the name “Sharapova” but I have never seen you use it for your social medias (Twitter and Instagram), is there a certain reason for this? Jas: Actually, it was only at the beginning, when we didn’t reveal her face yet. “Sharapova” was a completely different person, who was later replaced by Ramy. You’re an important part of the Kouteca history, both in the original group (briefly), the first spin off (Gal) and now in Drei and Gal concurrently. What is your take on the difference between “Girl” and “Gal”? Ramy T Talata: I feel that the music is different even though both are rap music. It’s a little difficult to explain, they’re so different. I’ve changed between groups many times. Catch my heart: Gal is more hip-hop, a music style that the crowd can get into with us. It’s not us trying to act like we’re cool, but we try to make it into something we can all enjoy and connect to together. Drei has more of a performance to show. Gal is mostly rap, but Drei has more singing in it. Jas: Pacio joined because she loves music, Ramy and Catch joined because they love to sing. They didn’t know about rap. They listened to it for the first time after joining. Why did you decide to join this particular group? Ramy T Talata: I found out about it through a friend. Actually, she was invited by someone that used to be in the group but wasn’t really interested in the group’s style. When I told her that I wanted to become an idol, she brought me with her and introduced me to the company. My interest grew after hearing about the group. Catch my heart: I’ve always loved singing, and always wanted to become an artist. My friend in Tokyo, who is also an idol, told me about the auditions, so I went for it. This is your second time in Canada. What was different about your debut in Canada compared to the one in Japan? Catch my heart: My very first live was in Canada. Everyone was so energetic and cheered along. I made some mistakes but it was really fun so I didn’t feel like it was a failure. In Canada, everyone has fun even if they don’t understand Japanese. When we went back to Japan, there are more people who understand, so the crowd can get really excited or really cold when they notice the mistakes. However, our debut was great in both counties. Ramy T Talata: I never believe in my life that I would debut overseas, just the thought of leaving Japan never even crossed my mind. I wasn’t sure what to do. I wondered if I would be able to convey my feelings and messages in a completely different place. I was very anxious because I didn’t even know what kind of country Canada was. In Japan, many people already loved the first Kouteca. We were going to be a new group with new members, whose charms were very different from the original ones. I had to climb over that obstacle and the expectations. There was a lot of pressure. Many fans of the original group came to see us and were very happy. This pushed me to work even harder. I became more motivated. What were you looking forward to do in Canada? Catch my heart: With Pacio joining our group, our image became cooler. It’s our first time to show this image in Canada, and I was looking forward to how it would be received. On a personal side, I was excited to see the people I met last October again. Ramy T Talata: Although we came back with the same group, this time we have a new member. I feel like the three of us are a great representation of Koutei Camera Girl Drei. I was really looking forward to show the new Drei, or rather the new lineup. There will be people who will see us for the first time, and those who have already seen us. It may be difficult to ask them to come see us in Japan, but I really want to be able to reach them, to have them know about us and be interested. Even if it’s just one person. I’m really excited to show everyone our performance. The previous Kouteca was more colourful, whereas Drei has a polished and darker image. How would you describe, in a word, the concept of Kouteca? Catch my heart: I think “cool” would be the right word. Ramy t talata: I want us to be able to reach that “cool” image. pacio to ‘npa, welcome to Kouteca! How do you feel about touring overseas for the first time? pacio to ‘npa: How do I feel?! (hysterical laughing) Hm… How do I feel? I’ve really been looking forward to it. Were you a fan of Kouteca before joining the group? pacio to ‘npa: No, not at all! Looking at your Instagram and Twitter, I noticed that you do a fair bit of modelling. Can you tell us about your work as a model? Jas: She worked as a model when she wasn’t involved in any other activities. She wasn’t working as a professional model, and it isn’t something that she would be pursuing as a major job. She may model in the future if the offer arises, but her main job is concentrated on music. What is different during lives in Canada and in Japan? pacio to ‘npa: The people are different. They cheer and sing at different points and timing during the songs. Jas: We don’t expect anyone in the crowd to follow any set rules, we don’t have any. We want everyone to enjoy their experience how they want to, to have fun, and to not trouble those around them. Jas, I’d like to hear more about your process. How do you come up with your song titles? Jas: There is no link with the lyrics and the title. I like it better that way. Having a love song titled “Love Song” is just too normal. I want people to feel the song, the title should just sound good to your ears. I believe that the title doesn’t necessarily need to have a specific meaning to it. Would you like to perform in all the cities you have named songs after? Jas: Not in particular. For Toronto, I wrote the lyrics at a shady Burger King around 1:00 or 2:00 a.m. “Toronto Lot” rolled off the tongue better. I don’t even know if it makes proper sense. I wrote this because I wanted to be in Toronto for a longer time. My inspiration was everything that happened to me in Toronto, but it’s not written as actual events. As a foreign fan, there is very little information available in English about Koutei Camera Actress. Can you tell us more about their concept? Jas: Koutei Camera is the name of all idol units under the Tapesok Records Label. They do a sort of underground club music that started with rap. Actress is under another management, but I still produce for them. The girls that are more interested in acting are in Actress, and if they would like to make music, they would join Tapesok Records. While Kouteca Drei is club music, Gal is more hip-hop, but I kind of do whatever I want to with their music. Actress are the ones that are closest to the “idol” image, they do pop music.